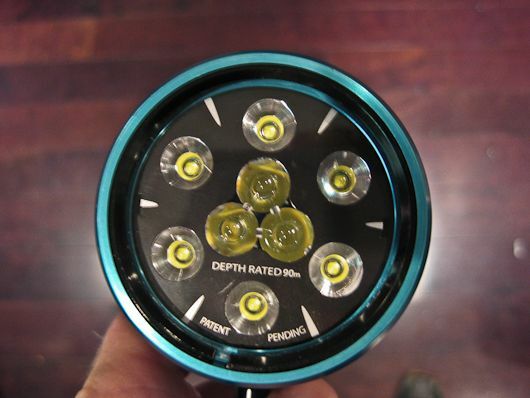 Light & Motion, developers of high-powered portable underwater lighting systems, has continued to expand it SOLA line of products. 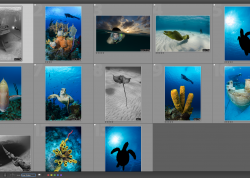 The most popular focus lights amongst underwater photographers seems to be the new SOLA Photo 800, which recently replaced the SOLA Photo 600. The broad beam allows photographers to focus on their subject, and not so much where the focus light is aimed. 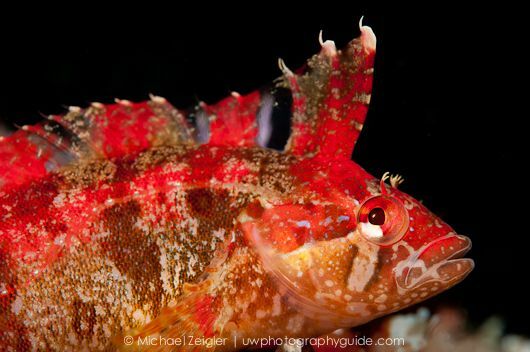 The stealth red mode allows shooters to get close to critters that are typically more sensitive to white light, like some crustaceans, small gobies, mandarin fish, juvenile fish, and mollusks. 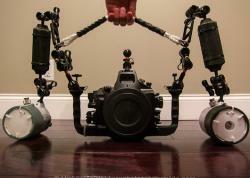 They also introduced the Sola 2000 and Sola 4000 lights, targeting underwater videographers with those lights. 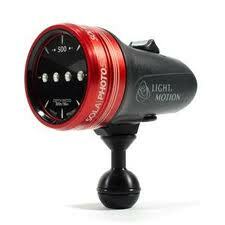 Light & Motion has also lowered the price on the SOLA Photo 500 and SOLA Photo 800 to $299 and $499, respectively. 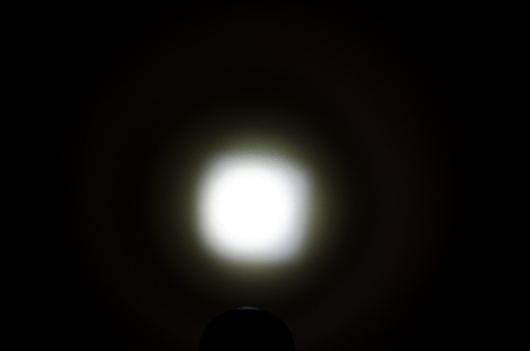 The SOLA Photo 800, featuring a wide, clean flood beam, and a wide red light "stealth" mode, each with three intensity levels. 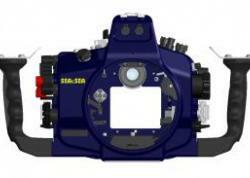 The SOLA Photo 500, featuring a clean 60 degree flood beam which can double as a video light for the new class of compact cameras. See complete comparison chart below. 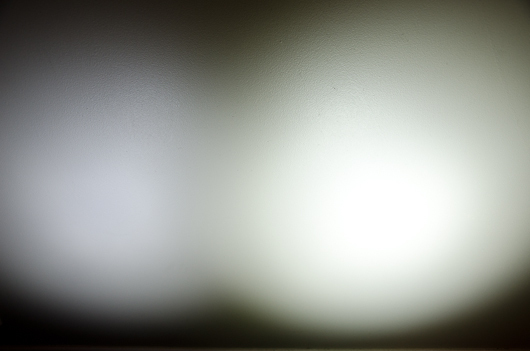 All lights are placed 15" from the wall. 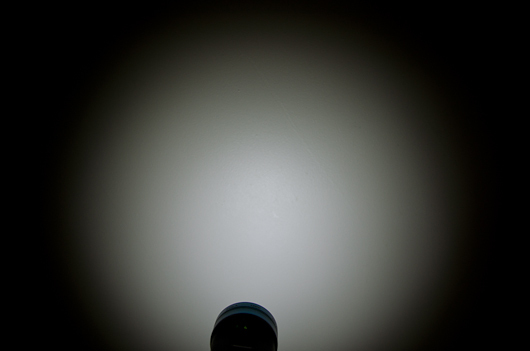 Photo 500 & Photo 800 - Low Power. Photo 500 & 800 - High Power. Red "stealth" mode on the Photo 800. 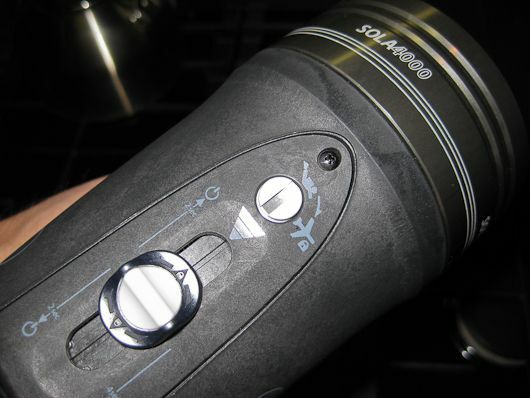 The more powerful SOLA Photo 1200. 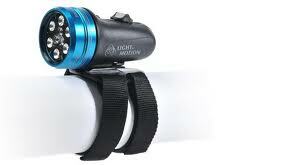 Featuring 1200 lumens, a wide, clean flood beam, and a red light "stealth" mode, each with three intensity levels. Similar to the Sola 800, but with 50% more power. 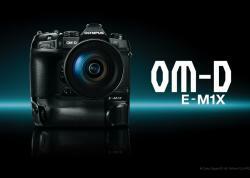 Great for people who shoot stills and video. 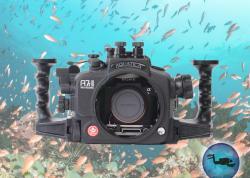 The SOLA Dive 1200 comes standard with the wrist mount, and features a flood beam of 60 degrees, and a narrow beam. 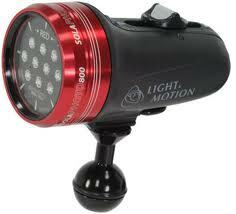 Dive 1200 flood beam. 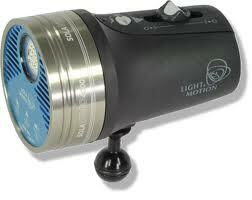 Dive 1200 narrow beam. The front of the Dive 1200, showing the flood and narrow beam lights. 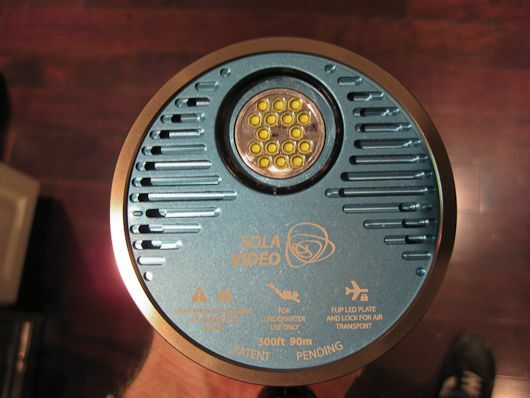 The Sola 2000 video offers only a wide-beam of white light, 60 degrees wide, at 3 power levels, maxing out at an incredible 2,000 lumens. 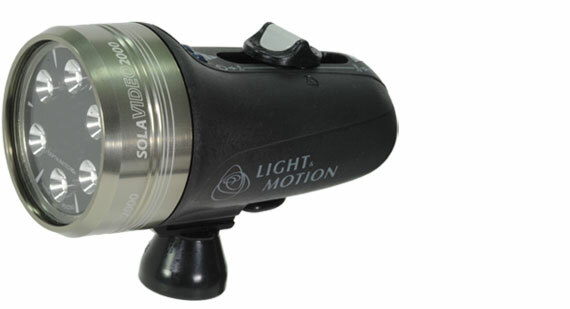 SOLA 4000, featuring an adjustable beam, and 7 levels of intensity, up to 4000 lumens. SOLA 4000 showing on/off & travel mode. Front of the SOLA 4000. All attempts of getting close to this tiny blue-ring top snail with the white flood beam resulted in the critter retreating into its shell. It was un-phased by the red mode focus light of my SOLA Photo 800, and allowed me to get this picture. 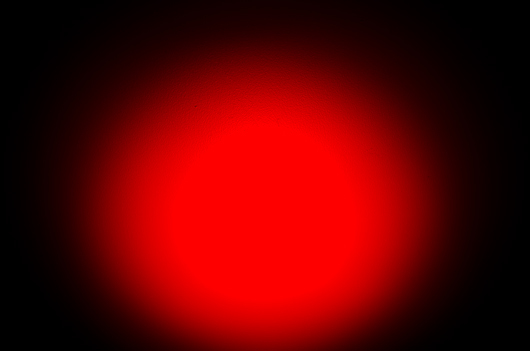 Due to the fast shutter speed, the red light was not recorded on the sensor as ambient light. Uncropped. 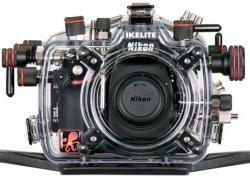 Nikon D90, Ikelite housing, 60mm macro + 1.4x teleconverter. 1/200th, F40, ISO 200. Similar story to the picture above, in that I could not get close enough to this Crevice Kelpfish with the white flood beam. The red light did the trick. 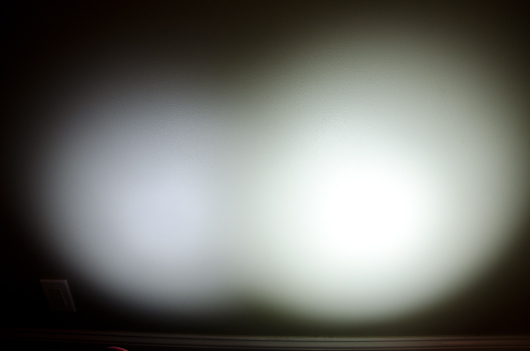 Due to the fast shutter speed, the red light was not recorded on the sensor as ambient light. 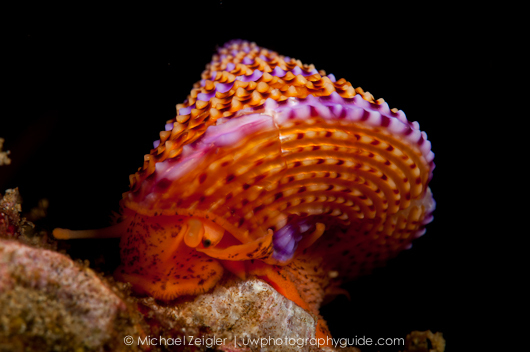 Nikon D90, Ikelite housing, 60mm macro lens + 1.4x teleconverter. 1/200th, F14, ISO 200. 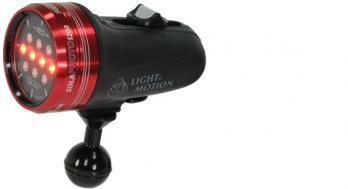 All of the Light & Motion lights mentioned here are available from our equipment sponsor, Bluewater Photo & Video. 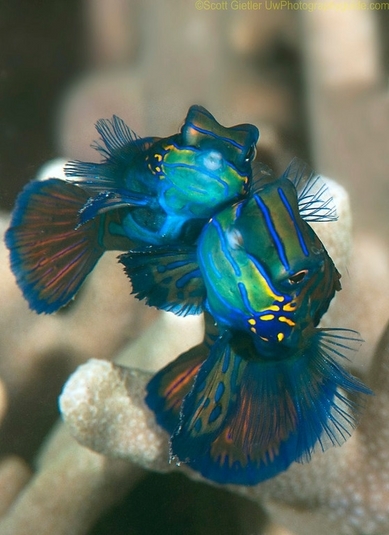 Be sure to click or call for all your underwater photography needs.